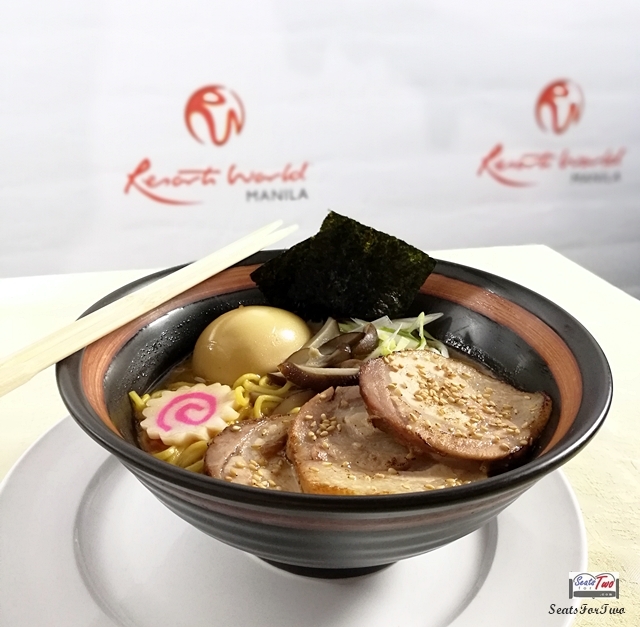 After the successful Matcha and Chocolate festivals in the previous years, Resorts World Manila brought in another gastronomic celebration filled with truffle-infused cuisines at the first-ever Truffle Festival. 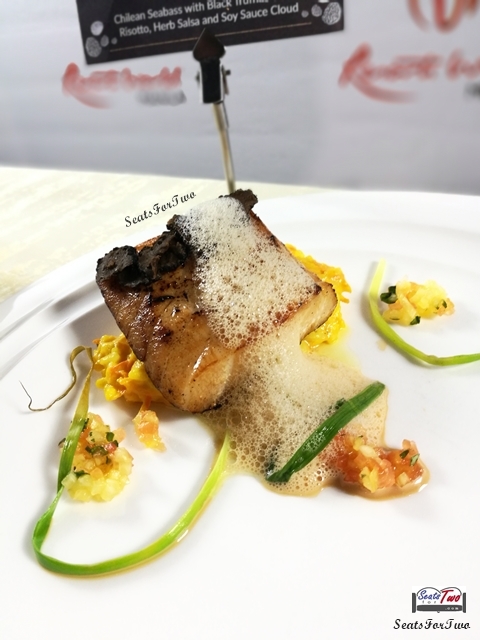 For the whole month of September, Resorts World Manila Chefs, together with RWM Signature Restaurants, highlights truffles, the darling of cuisines, as they bring us the Truffle Festival. Loved for its unique aroma and taste, did you know that truffle is a rare delight, and that they only grow in specific soil living inside tree roots? Hence, they are sought-after, and expensive too, among other reasons. We recently bought a small bottle (55ml) of black truffle oil at Queen Victoria market in Melbourne for AU$20 (Php 774). 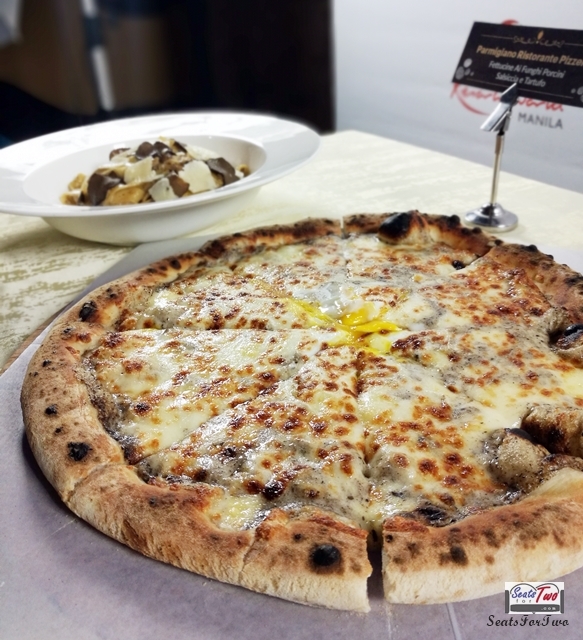 In the Philippines, it’s hard to find an authentic pure truffle oil. 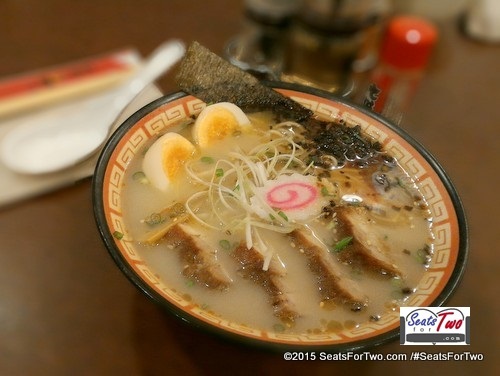 Moving forward, don’t miss Mr. Kurosawa‘s Truffle Ramen (photo above) which had a good broth and one of the best truffle ramen you’ll tatse. 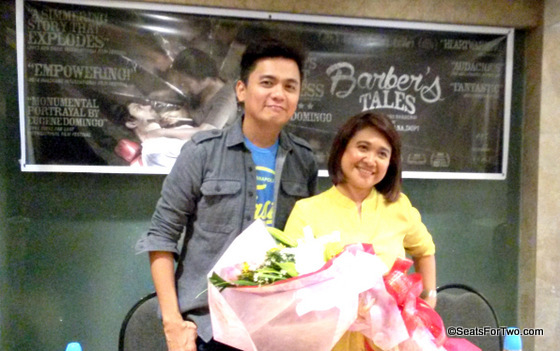 It also won the media choice award in the press conference held a few weeks ago. Next in line is a long-time RWM resident restaurant Parmigiano. 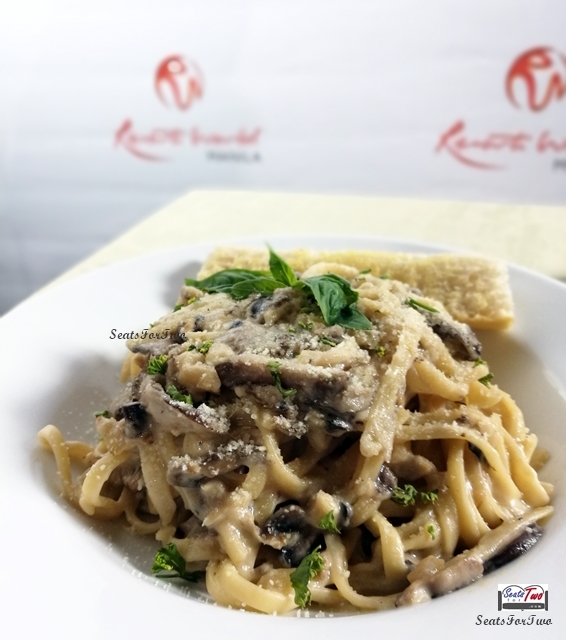 They featured a delightful pasta and pizza duo called Fettucine Ai Funghi and Parmigiano Ristorante Pizzeria! 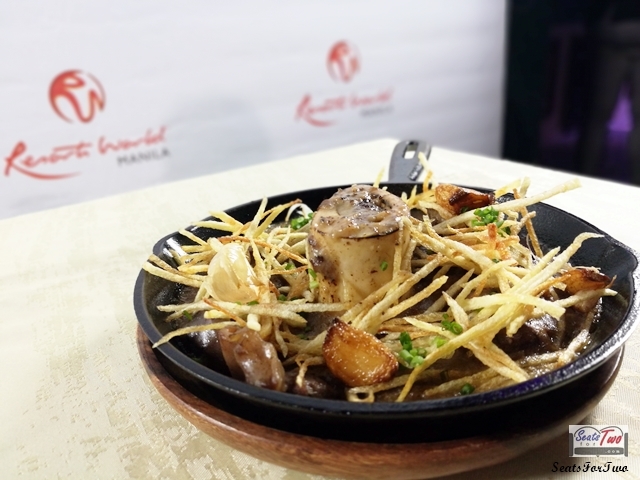 Short for ‘LUigi MUhlach‘, LUMU restaurant featured a unique Sizzling Black Truffle Bulalo Steak that is both visually appetizing and delicious to the taste. It’s actually our second favorite in the Truffle Fest. 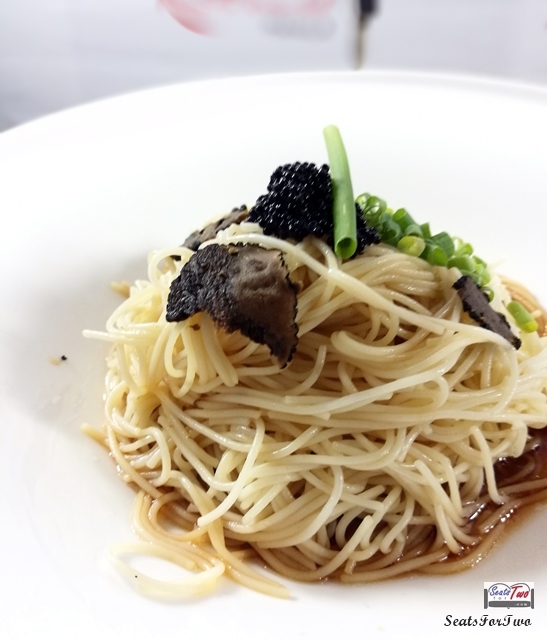 Lastly, Italianni’s and UCC join the fray with the former’s Truffle Mushroom Pizza and Truffe Chickem and Mushroom Pasta. 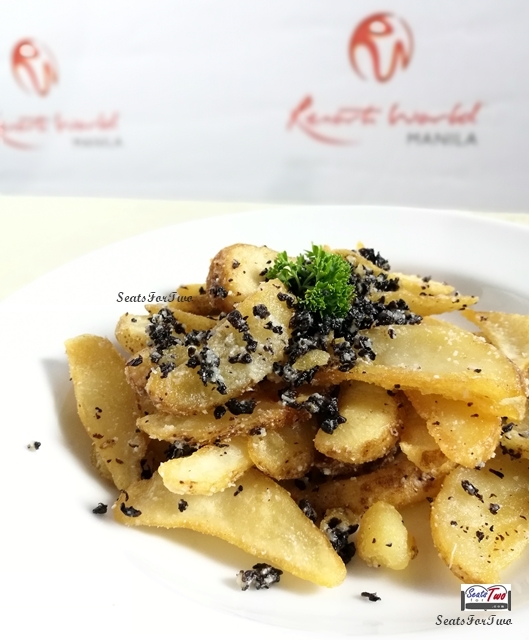 The latter offers the UCC Black and White Truffle Fries. Seat For Two‘s favorite among all the featured truffle dishes is The Red Crab‘s Garlic Crab with Truffled Mushroom Rice (1st photo above). 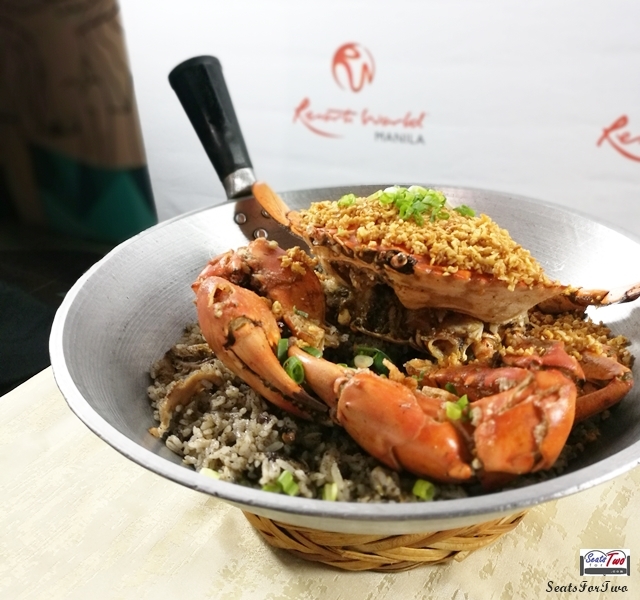 It’s a complete dish with a freshly caught whole crab sitting on a mixed fare of truffle rice. The rare combo turned out to be surprisingly good for the palate. During the Truffle Fest, mall goers can also replenish their food cabin with truffle-inspired premium snacks selections and other truffle products at the Truffle Market located at The Plaza (2nd floor) of Newport Mall from September 13-16 and 20-23, 2018! 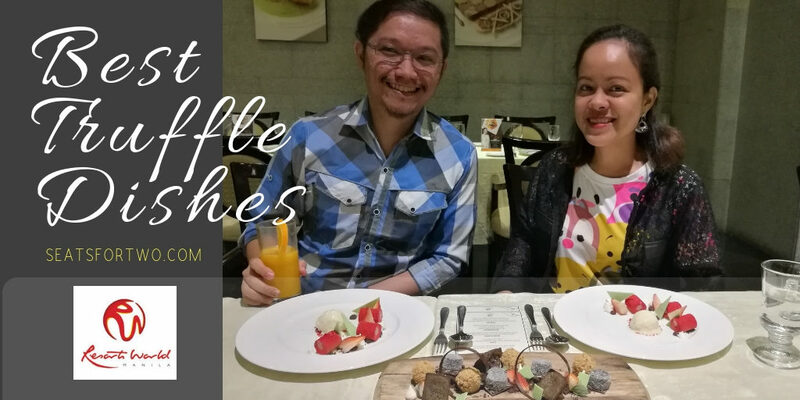 As an added treat, Newport Mall guests can enjoy Php 100 off on Grab car when they use promo code TRUFFLESATNEWPORT for the whole month of September 2018 when going to Newport Mall from any point in Metro Manila. 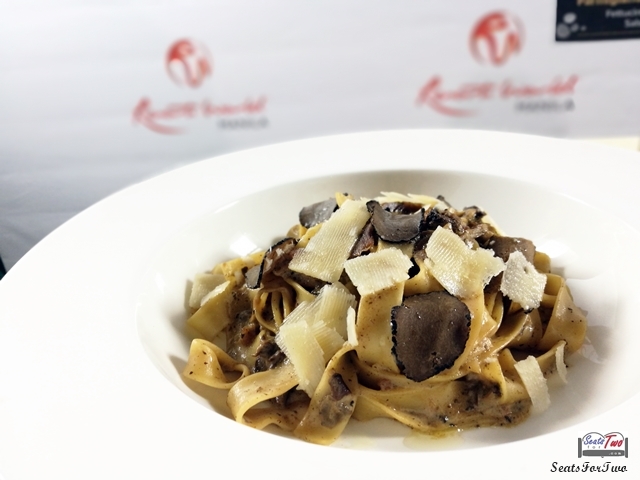 To book a seat or know more about the Resort World Manila Truffle Festival, you may call +63 (2) 908-8888. The RWM complex is located at Newport Boulevard, Newport City, Pasay 1309, Metro Manila, Philippines. 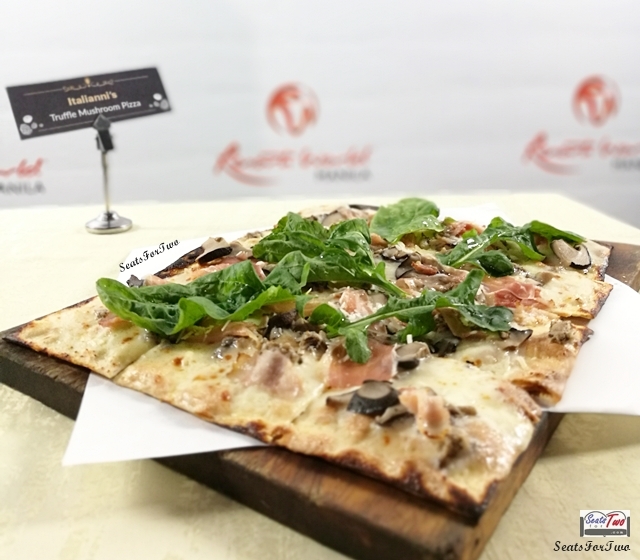 Resorts World Manila‘s Truffle Festival is something you should not miss especially for truffle lovers. 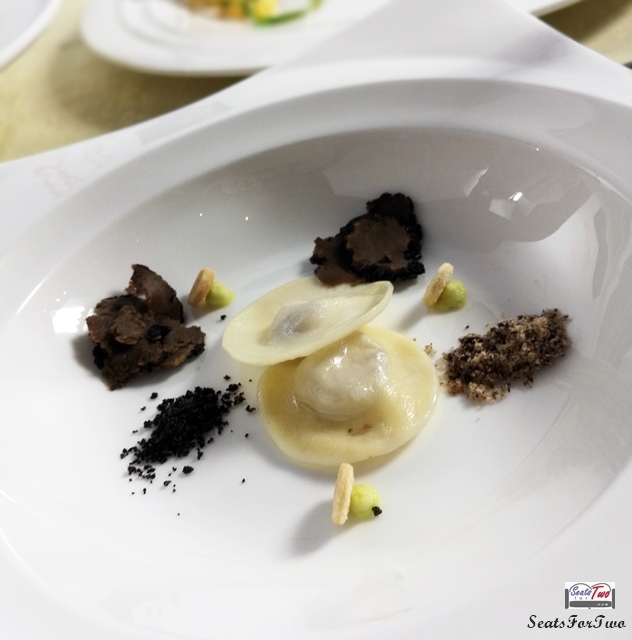 Indulge in a wide array of truffle-infused dished in a one of a kind food festival only for the entire month of September!